I have four children under the age of ten so I read a lot of children’s books. Sometimes I even read them to my kids! A recurring theme I have noticed in children’s literature is this: Moms and dads are usually absent. And if the parents are mentioned, they are often negligent kill-joys who hinder and sometimes even harm their children. As a parent, I can’t help but wonder what message this sends to our children. I first noticed the absence of parents thirty-odd years ago reading the Famous Five stories. Each story would typically begin with Mom and Dad going overseas and dumping their kids at Aunt Fanny’s for whole summers at a time. The message was, “Mom and Dad are going on an adventure and you can’t come.” But that was okay because the kids would have adventures of their own. Who needs parents? They only get in the way. The fairytales we read are populated by bad parents. Take Snow White for example. In this classic tale we have a king who marries a psycho-lady putting his little girl in mortal danger. And what does the king do to protect his child? Not a blessed thing. What’s wrong with that picture?! And don’t get me started on Hansel and Gretel! As a child, these examples of parental neglect or abuse troubled me slightly. But as a father, they trouble me deeply. I hate reading stories where the parents are absent or untrustworthy. I have three daughters and I don’t want them buying into any narrative that says daddy can’t be trusted. I don’t want them pining for some rich kid on a horse to come and rescue them. 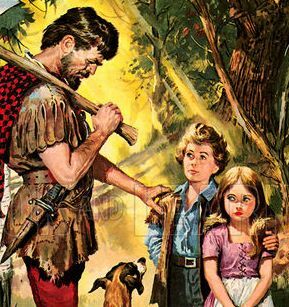 The absence of good parents and safe homes is a theme that stretches from Neverland to Narnia. The Darling children fly away from home, while the Pevensie children are sent from home. Sure, this is often the set-up for an adventure, but why do so many authors feel it’s necessary to get rid of Mom and Dad before we can have a good story? If you think I’m exaggerating, ask yourself, what do the following characters all have in common? Cinderella, Huckleberry Finn, Tom Sawyer, Pollyanna, Heidi, Matilda, Oliver Twist, Mowgli, Harry Potter, Spiderman, Batman, Wolverine, Magneto, Tarzan and Frodo Baggins. Answer: They are all orphans. None of them know their fathers. The stories we tell shape our children. So what sort of people are we raising when our stories feature absent or faithless fathers? It’s as though our stories were written by the Prodigal Son, which is fine, I guess, but I am not a prodigal and I’m not raising prodigals. Neither are you. In contrast, the stories Jesus told often featured good fathers. In his most famous story, a father is the hero who falls on his wayward son, not with blows, but hugs and kisses (Luke 15:20). I like that story because it speaks to the universal need for a good father who loves us as we are and not as we should be. About seven years ago I got fed up reading fatherless fairytales to my kids, so I began inventing my own tales. I made up stories where the fathers were legendary and totally trustworthy. The parents in my stories weren’t background scenery; they were heroes who took their children on great adventures. That story was called The Big House and it has just been published. It goes on sale next month (and yes, it will be available in paperback as well as Kindle, and PDF). What’s it about? I’ll tell you more in a week or two, but in essence, it’s about a couple of kids who discover that their father is a billion times more awesome than they think he is. Which, when you think about it, is just about the greatest discovery anyone can make. Wow! I believe the fact that so many worldly children’s books and video games portray absentee parents (and in particularly absentee Fathers!) is orchestrated by the first orphan himself (Lucifer). Leif Hetland wrote an insightful book on this called, Healing the Orphaned Spirit. It’s when people have an encounter with the Father’s love, they are being set free from this orphan spirit. It’s great that see that you are writing a children’s book that portrays a different picture! Yes, I agree: the absence of parents, especially fathers, in these tales we’ve all come to know and love, has allowed my generation (50’s & 60’s) to carry on our own orphan mentality and live in a fantasy world (and continue to escape to it). 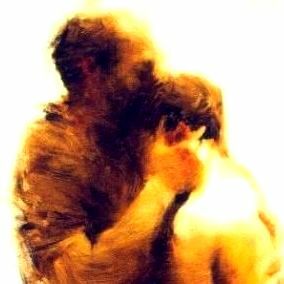 How many of us, whether children or all ‘grown up’, have not experienced their father’s blessing, validation and love (even though they’ve been present, physically)? Thereby, negating the wholeness, affirmation and freedom we seek to carry out our destinies and be shining disciples? Our Father in Heaven probably doesn’t have clear access to our mind, heart and soul, if we’re peering at Him, through a ‘looking glass’ that’s been tainted by fathers (and mothers) who were never released into their full potential as the Beloved of God. Can’t wait to read The Big House! I’ve never noticed that in fiction before. I actually write fiction and come to think of it, it’s very common. I also see it in the books I read my kids. It’s tragic! Your book looks amazing! Paul-this will definitely be my next purchase. You finally told me why I have always had a distaste for some of the stories you mention. Many of the Disney sitcoms and even cartoons today either have no parents present or depict them as silly, ignorant, crazy, clueless, fill in the blanks with less than flattering descriptions. After 25+ years as a youth pastor (parent supporter actually) I have seen the affects of media on the family. Thanks for your ears to hear and your eyes to see! Paul, Not only in Fairytales, but in life in general. I was at my job one day and heard a couple women talking and they were talking about their wives. I’m thinking wives. Wives have husbands. The first thought that came to me was, God didn’t know what he was doing. God made Husbands and Wives!!!! What a sad thing to try to make out that God didn’t know what he was doing. I really feel sorry for the blindness this world has. That’s like making the Sun be further from Earth cause it too hot. God set things in order. When you go outside of the order of God, God help you! I’m a father of two girls. One seventeen and in her final year of secondary school next year. The other turned twelve today. What you say is so true, it completely freeks me out! When my kids were younger I did exactly what you are doing (although I never published the stories) My kids and I would spend hours together, me inventing stories with good principles, endings and a line that always comforted their young hearts and brought a sense of love and belonging. They remembers those stories even today! The problem with most of our western stories (fairy tales, movies included) are their origin. Most are founded in northern hemisphere paganism and the purpose of most are/were to frighten the children in order to keep them from doing certain things or for the sadistic delight of the adults. Bottom line is that they all invoke fear and worries – directly in contrast with the heart of any loving father and definitely contrary to the Word of God and the whole Grace message. Thanks Paul you are truely a blessing bringing Grace to the children like this. Fantastic stuff Paul! Here in the UK, the media have done a good job of ridiculing Fathers and minimising their role in fanily life. Great post Paul, I look forward to your book. Thanks for everything you do. Spot on Paul. Let’s get some books out there that show parents as heroes. The undermining has gone on long enough. Good luck with the book(s). I cannot wait! You are MY favorite author as well!!!! Thank you Paul for hitting the nail on the head right again! I am hoping, praying and trusting God that not only books and articles will be written and published that would help shape the next generation in line with the Father’s love heart but that movies, cartoons and video games will be made by grace trained and cultured believers so that we can truly take the world and disciple the next generation in a fun filled, contemporary and bible relevant way. Thank you very much my dear brother. Well done on the new book. I look forward to the release October 7. I’m writing a Cinderella story. One of the things that bothered me about most tellings of Cinderella was that they never addressed the fact that she was horribly abused. If your main character is an orphan, fine, but make it believable. An orphan is not going to be a happy-go-lucky, sing to the birds and mice, type of person. I would love to buy one for my grandchildren. wow! I would really love to read that book! The enemy’s onslaught against fathers and their children is age old and still continues…he’s getting back at God for his own (self-induced) orphan state by wrecking father/child relationships here among God’s kids. One of the saddest things I heard on this theme was the initiative between a large US prison and a greetings card company. They offered Mothers Day cards to the inmates plus postage free of charge for them to show love to their Mothers on their special Day. The take-up was immense, virtually the whole prison. When later in the year they launched a similar initiative for Father’s Day, just a handful of the inmates took it up. Many of them didn’t even know who their father was or where he was. Many others didn’t care. Thank you, Paul, for releasing healing into this epidemic of fatherlessness in such a creative, accessible way through your new children’s book. Preventative medicine against orphan lies for this new young generation and healing for those of us who’ve been children just a little bit longer! I bless you. thankyou paul for reminding me to tell my orphan father who had six children of his own that he’s a billion times better than I ever knew. My dads birth mother once told me she wished my dad was never born. That opened my eyes to how much dad loved and wanted us kids. The first time I heard God loved me as a dad, unconditionally, I had no problem receiving it. The second time I heard about that love again as an adult was when I receive d the gospel of Grace. Abba is about many billion times better than I had imagined. Thank you for doing your part to show me His truth. I appreciate your heart for the children. Thank you for these insights. Whoo hoo!! I am excited about this!! I’m definitely getting it! It’s easy, maybe even lazy, to create a likable/interesting protagonist if you can infuse some crazy family drama – abandonment, fatherless-ness, etc. It takes more creativity to do the same with a great father so I hope this is the start of a movement in a different and good direction. I cant wait to read this book! Funny because God has been stirring me up about similar things. I have been wanting to write a book as well as make a film about a good story that symbolizes our great heavenly Father. Also, having a online book that tells a story with pictures and score added to it in order to give it an amazing feel. As a Score Composer/Music Producer/Audio Engineer, God has given me the opportunity to create for Him music and projects that reveal His beauty. Let me know if this is up your alley, I believe it would touch many and go nation wide. Thank you for another one of your great post Paul!